College is a time to explore different parts of yourself. But before many students can figure out which classes are the best fit for them or what jobs on campus are the best for their schedule, figuring out finances to help pay for college expenses has to come first. And this meal subscription service for college students could be one thing to make their lives a little bit easier. After all, undergrad tuition rates are on the rise — leaving far too many students in debt trying to stay afloat from everyday expenses. 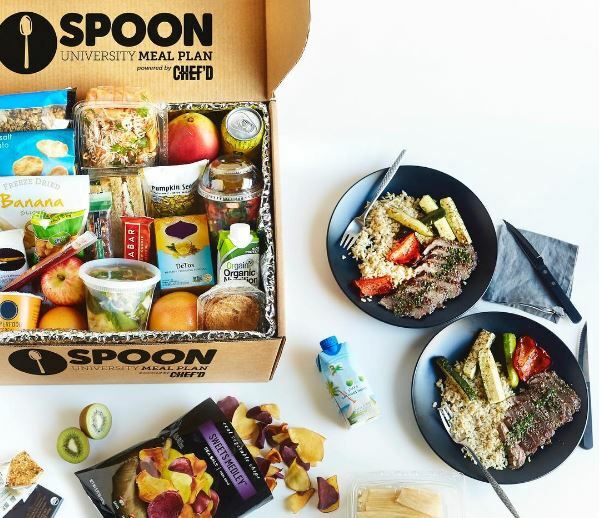 The two companies have teamed up to form the meal subscription service. The goal? To give busy college students the option to cut down on grocery shopping and the time needed to meal-prep, while giving them more variety than they would find in their (expensive) campus dining halls. The service itself costs $100 per week — but even for frugal college students, that’s a lot cheaper than many on-campus meal plans per semester. This will be a relief for both students and parents that students will no longer have to sacrifice time and money to get the healthy, delicious meals that they really want. And that’s something we can really get behind.